Kuala Lumpur is a wonderful city that can truly be described as a melting pot. The mixture of Malay, Indian and Chinese inhabitants have helped to shape this vibrant, modern city. A trip to Malaysia simply wouldn't be complete without a few days in Kuala Lumpur. Up until 1998, these towers were the tallest building in the world and this is definitely something that the Malaysian people are proud of. Although it isn’t possible to go right to the top, you can buy a ticket for the observation bridge which connects the two towers. Make sure you get there early as you will need to queue up in order to get one of the limited places in the lift. At the foot of the towers there is a big shopping center with designer boutiques, restaurants and a museum about petroleum (Petronas is a petroleum company). It also has a food hall which serves a huge array of different cuisines, from traditional Malay curry, to Korean cuisine, to MacDonald’s! Another great attraction is China Town. This bustling area in central Kuala Lumpur is definitely the place to go if you are after a bargain. The night market on Petaling Street is brimming with stalls and shops where you can practice your skills in haggling with vendors offering everything from knock-off designer watches to herbal remedies for impotence. It’s also a great place to sample the local fruit produce and the cheap food stalls here are a great hit with travelers and locals alike. If you feel like going on an adventure out of the centre of Kuala Lumpur, you can hop on a local bus bound for the Batu Caves. Located up an impressive 272 steps, the Bau Caves are a magnificent series of caves formed out of limestone 400 million years ago. The main temple cave has a 300ft high ceiling and is filled with religious sculptures, along with a scary looking snake for you to pose for a photo with! At the foot of the steps there are a handful of souvenir shops and great cafes where you can tuck into a tasty curry before catching a bus back to central Kuala Lumpur. 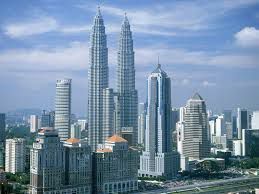 For more information about Kuala Lumpur and to build your own Malaysia trip, take a look at Malaysia Travel Plan.